One of the most common questions I see is, "What should I upgrade next?" and the answer is not quite as simple as you might think. Choosing upgrades is a tricky thing to do in a new game like the Builder Base. Although it was released a year ago, the fact of the matter is that it is STILL in its initial release mode! BH8 just hit not long ago and a lot of players are running on the cutting edge of the game. In a more established game - like the Home Village - there are a bunch of levels to go through already and a large player base that is just slogging their way through each. You'll often hear me talk about the "meta", but what exactly is that? Some call it out as an acronym - Most Effective Tactic Available. That may or may not be correct, but it does accurately describe the general use of the term in gaming. "Meta" refers to the strategies used in the game that are both the most effective and most commonly used among the playerbase. This is what you'll be defending the most against and, likewise, what your attacks will most commonly run into. At the time of this article, the Builder Base meta centers around ground attacks at BH8 - specifically, Cannon Carts and Boxer Giants. Each level of the BB has had its own meta and that changes over time. For example, when BH8 first hit the pavement, we were still running with the BH7 meta of Beta Minions and Drop Ships. In no time at all, that switched over to Cannon Carts and was shortly thereafter improved by Boxer Giants. These meta changes should dictate your upgrade path, both for troops as well as defenses. As I mentioned, BH8 started off with air in the dominant position. So...the first thing a lot of folks upgraded was their FireCrackers and AirBombs. When that switched off to Cannon Carts, the defenses to upgrade were the Teslas (both Hidden and Mega) and the Double Cannons. The defensive upgrade path follows the offensive upgrade path closely, especially since offense can be upgraded so much more quickly than defense! However, the meta can change really fast and, in the case of BH8, it did. SuperCell massively beefed the ground game by adding units to the Army Camps at level 16 - a fifth Bomber, fourth Boxer Giant, third Cannon Cart, and even two more Sneaky Archers to bring the total to 12. The playerbase considered the value of each of these improvements and adjusted to take greater advantage of the new numbers. What's more, the meta actually varies depending upon your level of play - both in terms of trophy ranking AND the BH level itself. The most common base designs, attack strategies, and defensive levels you see at the top of the leaderboards are entirely different from what you'll see in the 3K, 4K, and 5K ranges. (Season reset notwithstanding, of course!) 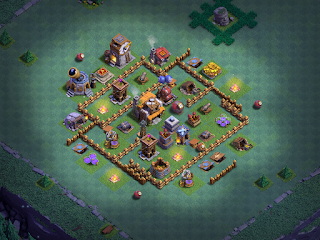 Players in the lower 3000 trophy ranges see a lot of Night Witch attacks; upper 3000s to lower 4000s see a greater mix with air being very common (Minion Drops); the upper 4000s and beyond are almost exclusively ground attacks with the Cannon Cart strats holding sway; and top leaderboard attacks are ground but often focus on either a mix of troops or those known to provide more consistent results. The BH level is the other side of this coin - Baby Dragons ruled BH5 but were no longer useful at BH6 where the Night Witch came into her own. At BH7, the Drop Ship grabbed the spotlight with Minion Drops, and BH8 is owned by Cannon Carts and Boxer Giants (as mentioned above). The current meta should always factor heavily into your upgrade choices and is, generally, the prevailing factor in my upgrade decisions. Next, you need to consider the current strength of your troops and defenses. If, like me, you did not upgrade Cannon Carts before the buff and increased units at BH8, it will be a long and painful upgrade process. Under such conditions, it may make more sense to focus on a secondary strat like Minion Drops so you can pull decent daily loot. One of my games had level 1 Cannon Carts while Drop Ships, Beta Minions, and Night Witches were all level 14. Even though Cannon Carts were the new meta - and absolutely rockin' it up and down the charts - going from level 1 to level 16 would take a month and a half. Plus, my Boxer Giants were still only level 6 - getting them up to snuff would mean another month or more beyond that! Taking two months at the beginning of the new BH level, just to develop a viable meta attack...that doesn't make sense. So...I focused first on what I had, then shifted gears to the meta attack. On the defensive side, I always upgrade FireCrackers and AirBombs at the beginning of the new BH...until BH8, that is, where I hit the Teslas first, including the MegaTesla. However, on my more heavily rushed games, I knew that pouring my gold into the MegaTesla before upgrading lower level defenses made about as much sense as pursuing the meta attack at the expense of my overall game. The MegaTesla is absolutely devastating to Cannon Cart attacks once it reaches level 8. My level 4 and level 5 point defenses, though, were both more versatile and held greater damage potential than just the one defense...so I upgraded them a while before focusing on the MegaTesla. These choices may seem to buck conventional wisdom but they're actually all about getting the biggest bang for the buck. Those who are able to max a level before the new one is released can choose their way forward, but for those who are either F2P or light gemmers, it's important to carefully plan each upgrade to gather the greatest benefit. On that same note, there's a lot to be said for bucking the system. While everyone is setting defenses up to thwart the ground based attacks from Cannon Carts and Boxer Giants, that leaves them more vulnerable to air attacks. Base designs that defend well against Cannon Cart strats do not defend well against Minion Drops - especially when everyone is neglecting upgrading their air defenses (AirBombs and FireCrackers)! To get a handle on the meta for your BH level and trophy ranking, you really just need to be observant of your own game and ask others a bit of what they're seeing. I regularly review my Battle Log to see what attacks I'm seeing most commonly; that helps me form up the upgrade plan. I assess the general meta for others when they ask for upgrade advice as well. For BH8 players with a level 5 or better defense, who hang around between 3500-4500, I'll typically recommend focusing first on getting the Roaster, Giant Cannon, and Multimortar to level 8, then switching gears to Hidden Teslas and Mega Tesla, and lastly the Double Cannons. After that, circle back to the air defenses, Archer Towers, and Cannons. I always suggest maxing out your #1, key attack first - even if it isn't meta - then coming back to work on either a strong secondary attack strategy or the meta strats. That gives you what you need to defend against the meta adequately while progressing forward in a steady manner. For BH8 players with less than a level 5 defense...my recommendation is to get everything to level 5 as your baseline defense and focus on your key attack strategy. You can see this thought process in action on my Clashifer Hyper-Rush Project game - the game went from brand new on March 15th to a level 4 defending, BH8 game by June 1st and I've taken advantage of both Battlefest and Hammer Jam events to get a few defenes up to level 5. That's the general reasoning I use when developing my upgrade advice and how I choose upgrades for my own games. Hopefully, that helps you do the same with your own games. Here's the link to this article's companion video. Included in this video are some more Minion Drops replays from Divergent Void and Oz Builders!